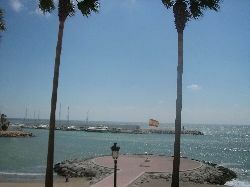 Apartment is in front of the promnade,beach,sailingboat harber, located in the center of Marbella. The Ave has no traffic. 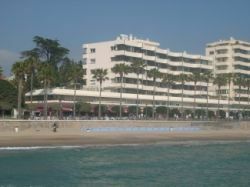 10m from the beach. The apartment is on the first floor with stair or elevator access. 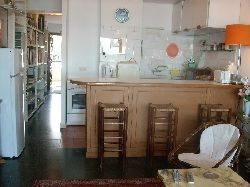 It is very conveniently situated and confortable and cosy. 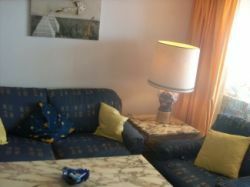 There are 1 double-bedroom and a Sofa- bedroom (max up to 3 person). The appartment has living room; lounge; bathroom; opened american style equipped kitchen with cooking hob, oven , microoven, toaster, electric kettel, combined fridge/freezer, washingmachine, etc; TV; satelite (BBC,German,Japanese, etc) radio; shared swimming pool; porter. Backside of the apt is a park. Smoking not allowed. Pet not allowed. This is a private advert! 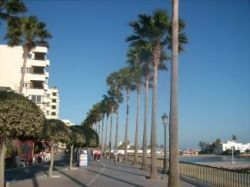 A great number of fantastic holiday rentals Spain by owner. Costless vacation rental listing. 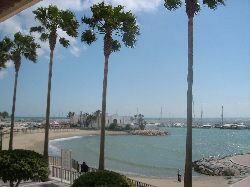 Large selection of vacation rentals Spain by private owner. Book directly online.